It’s been a while since we shared our latest updates with you – we’ve been hard at work launching some major new features! Check out gift cards and cash management which are now available on our new Register for Mac and PC, and Register iPad app – two big features we know you’ve been waiting for. Plus, our recommended gift card supplier is offering a 15% discount for all Vend customers until November 7 – find out more below. Thanks again to all our beta customers who have helped us test these new updates – you’re a big part in helping us make world-leading software and you rock! The holiday season is fast approaching, so now’s the time to get your gift cards ready for the shopping rush. Plastic Printers is offering 15% off all orders by Vend Customers for a limited time. To get the discount simply order your gift cards by November 7 and use the promo code VEND15. Product Performance Report – This new inventory report will help you plan your purchases and re-ordering better. See on the same report your sales figures and stock on hand for each of your products. We’ve also introduced a new measure called ‘Weeks Cover’ that estimates for you the number of weeks that your stock will last, based on your current stock on hand and number of items sold in the last four weeks. We’ll be adding even more exciting measures to this new report soon. Stay tuned! Xero improvements – We’re hard at work to improve our integration with Xero. In the next few days, we’ll be releasing one of our top feature request. You’ll now be able to set your on-account payment due dates in Vend to match your ‘Sales invoices default due date’ in Xero. This means that your on-account invoices posted to Xero will no longer be due the day they were created. Vend Ecommerce updates – Search for Ecommerce has been added so your customers can now search your site for products and pages. Find our more on how this works here. We’ve also added a ‘Thanks for your order!’ page in Ecommerce which will appear for your customers after they’ve made a purchase, and includes a summary of their order. New Register for Mac and PC – If you haven’t made the switch to our new web-based sell screen yet, now’s the time! Our completely reimagined sell screen is faster, more intuitive, and is where you can access all our new features such as gift cards and cash management. The new Register is completely free and it’s linked to your current system, just like the previous sell screen was. All reporting, inventory and sales data will be updated automatically, as usual. Plus, Quick Keys for Register are finally here! If you have Quick Keys already set up in our old sell screen or in our iPad app, you’ll be able to bring them over to Register with one click. Start using Register today. DEAR Inventory is a comprehensive cloud-based inventory management application. It’s designed to help small businesses get better visibility of orders and inventory across all sales channels and locations. Ecwid can help you create a beautiful and powerful online store instantly from your Vend product inventory, and add it seamlessly to any website or Facebook page – or to multiple sites online simultaneously. They’re great if you want to extend your sales reach from more than one website. Collect Loyalty has been completely revamped for Vend! With Collect, you can create a powerful Loyalty and Referral Program with built-in customer emails and Apple Wallet. Smartly integrated with Vend, it’s easy to add customers, reward points for purchase automatically, and redeem rewards in-store and online. Grow repeat business, retain customers, increase sales and encourage friend referrals. Try Collect Loyalty for free and take a look at Collect’s other powerful new marketing tools for your store. Bugfixes – We’ve fixed a bug which made void return sales show simply as ‘Return’ on the sales history page. The status now clearly states “Voided Return” on that page. Also, a bug affecting some customers using large currency denominations in Vend Ecommerce has been corrected, plus more. Browse through Vend U’s helpful resources here. 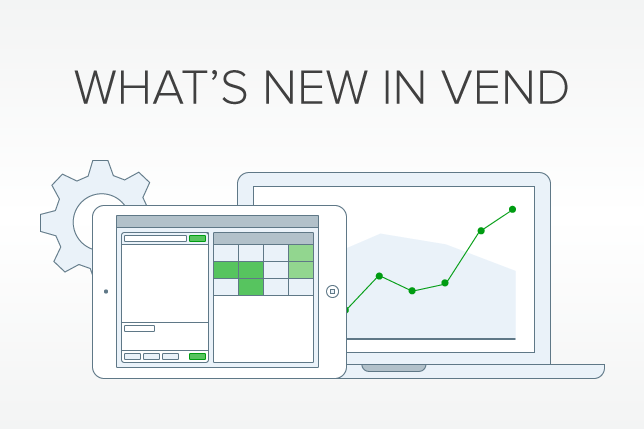 The post What’s new in Vend – October appeared first on Vend Retail Blog. It doesn’t matter what you call it; you can now control your cash, detect your dinero and monitor your moolah with our new cash management feature, available in the Register for Mac and PC and Register iPad app. Vend cash management will allow you to reduce errors, theft and discrepancies, and start tracking cash movements across shifts, days and cashiers. 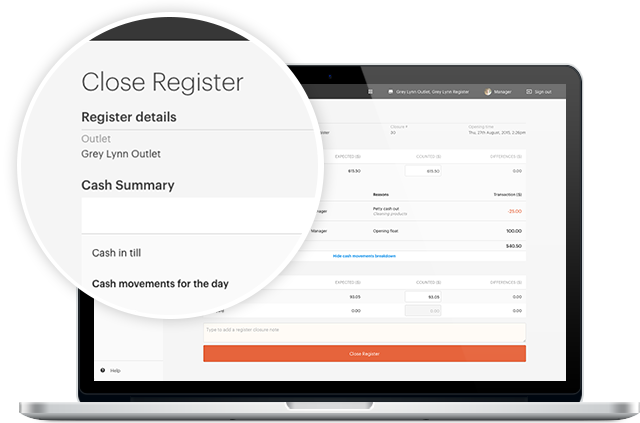 Enable cash management for any of your registers and record all changes from cash float to register closure. Plus, monitor petty cash and safe drop transactions so you always know what’s going on with your registers. Each time you close a register, you’ll be able to check for any discrepancies and see that day’s cash drawer activities. *Only admin users can enable cash management, but once enabled all users have access to the feature. 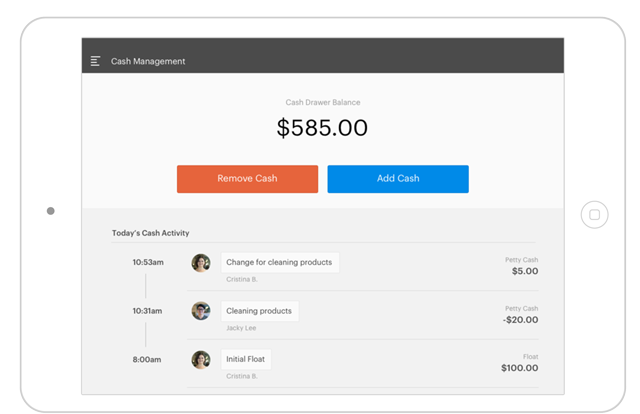 With cash management, you can see all of your cash movements throughout the day and have more visibility into what your cashiers are doing. Need to buy some supplies? Want to make a deposit at the bank? With cash management you can record the money you take out of your cash drawer and add a note so you know exactly where your cash has moved that day. Vend will automatically adjust the amount for your end of day register closure. All movements in and out of the cash drawer will be recorded and posted to Xero. First, make sure you’re using the new Register for Mac and PC or Vend Register for iPad app. If you haven’t switched from the old web-based sell screen to Register now’s the perfect time – we know you’ll love it! We’ve also added Mercury integrated payments (US), Tyro integrated payments (Australia), loyalty, and returns. Login to your Vend account and head to Setup > Outlets and Registers. Select ‘edit register’ and tick ‘Enable Cash Management‘ or check out our Help Center article for full instructions. Cash management is only available on the new Register for Mac and PC and the Register iPad app. Now’s a great time to switch to our new web-based point of sale. The new Register web point of sale is completely free as part of your plan and you don’t need to worry when switching over – it’s linked to your backend system, just like your current sell screen is. All reporting, inventory and sales data will be updated automatically, as usual. Learn more about cash management and the new Register for Mac and PC by heading to Vend U, joining a training webinar, or reading the Help Center guide. The post Take control of your register with new cash management appeared first on Vend Retail Blog.